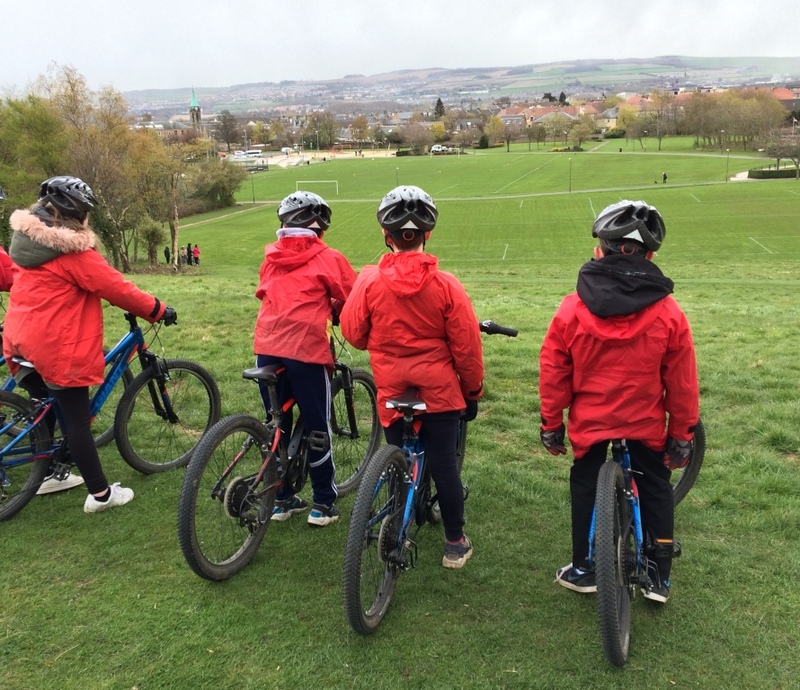 Discover Biking days are an exciting opportunity for P6s and P7s to come and test their biking ability on our challenging skills course. Day plan We will work with half your class in the morning and half your class in the afternoon. We will run an off road skills sessions that will included; bike checks, gears and brakes familiarisation, skills course, time trails. Sessions will last approximately two hours each. Equipment We will provide; bike, helmet, gloves, waterproofs. Students require; warm clothing, medicine (asthma inhaler, etc), snack, drink, and a full change of clothes and footwear (to be at school on students return). Transport We will collect half the class in the morning in our bus and when they return to the school we will collect the other half. If the activity location is within walking distance from the school, it would be good if the students could walk. Staffing It would be beneficial if an adult could attend with each group. Activity location Depending on where your school is we deliver the activity at a suitable location close by, some venues might include; Penicuik Park, Dalkeith Campus, Newtongrange Park, Lasswade HS. Cost There is a small charge of £1 per student. Visit approval Please ensure that an EVOLVE form is submitted showing provider as Midlothian Council Outdoor Learning Service. (AALS licence number is L10250/R1370). Some of the skills covered will be from Cycling Scotland’s ‘Go MTB’ scheme details can be found here. Have a look at these great British Cycling videos – here. 2-16a – I am learning to assess and manage risk, to protect myself and others, and to reduce the potential for harm when possible. 2-18a – I know and can demonstrate how to travel safely. 2-19a—Opportunities to carry out different activities and roles in a variety of settings have enabled me to identify my achievements, skills and areas for development. This will help me to prepare for the next stage in my life and learning. 2-22a – I practice, consolidate and refine my skills to improve my performance. I am developing and sustaining my levels of fitness. 2-23a – While working and learning with others, I improve my range of skills, demonstrate tactics and achieve identified goals. 2-24a – By reflecting on my own and others’ work and evaluating it against shared criteria, I can recognise improvement and achievement and use this to pro-gress further. Cycling Scotland has also produced a great booklet that details 8 themed lessons linked to CfE that can be use in the classroom. To get it click on this link.